World of Coke | Just Shooting Memories! Coke is one of the worlds oldest soft drinks. So, it would not be to hard to assume that somewhere there would be a World of Coke. I mean, there is a “world” for everything and the “world” for Coke is in downtown Atlanta. It is just on the outskirts of Centennial Olympic Park. 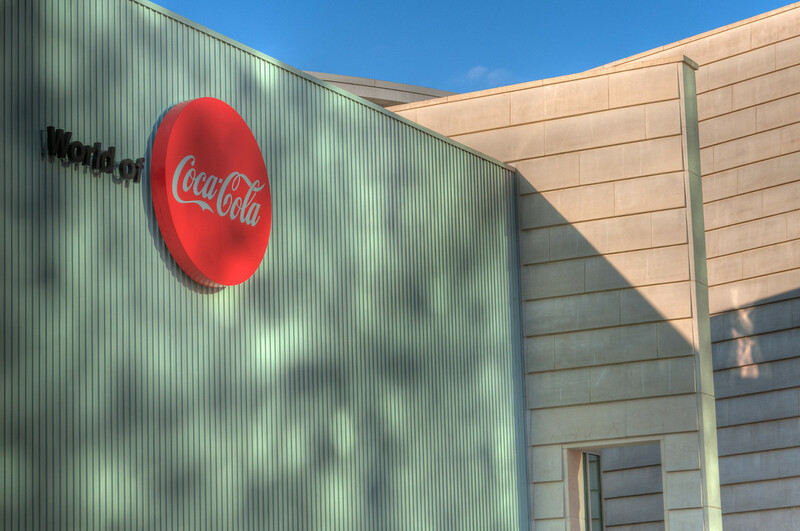 Several months ago, I got to spend about an hour going through the park and got this shot of the outside of the World of Coke. What was even more fun was that one of the people I went through the park with decided to run through the spouting water jets. I guess I need to mention that it was January. That was kinda funny.